As you stroll through the furniture stores, or troll the internet, trying to find good quality, yet cost efficient, furniture for your home, you may be disappointed. The quality of today's furniture is not what it used to be. It is time to reclaim some older pieces of furniture from garage sales, flea markets and Grandma's attic and turn these old, yet high quality furniture, into new pieces. 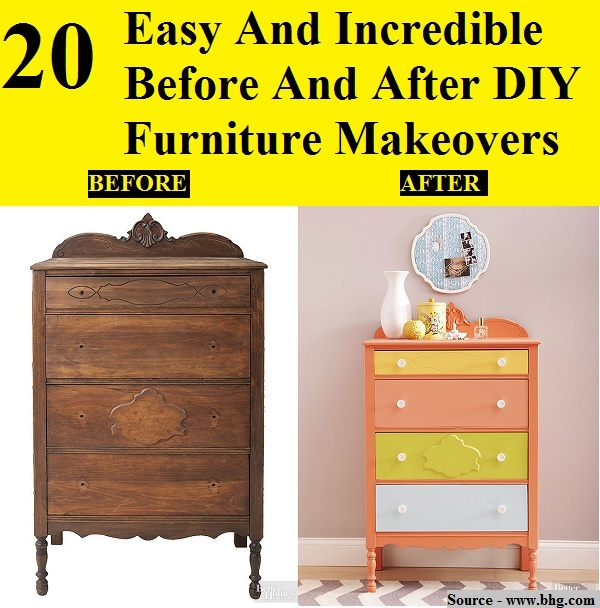 Thanks to bhg.com for these great makeover inspirations. Follow the link below to learn more.